David Belasco opened the Stuyvesant in October 1907, having already bequeathed his name on his 42nd St playhouse, now the New Victory. When he relinquished the 42nd St theatre in 1910, he immediately renamed the Stuyvesant as the Belasco. He provided himself with a duplex apartment above the theatre that had the decor of a Gothic church, and housed much of his theatrical memorabilia. Following his death, the theatre was rumored to be haunted by his ghost, until it was banished by the risque production, Oh Calcutta!. 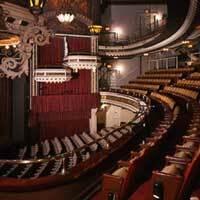 The theatre came under Shubert ownership in 1948.